Your customers and audiences are critical to your success and that of your business. For your business to make sales, generate revenues, make profits, and grow, customers will have to do business with your company. Increasing competition in business and modern technologies, however, means that customers can easily change suppliers, increasing the risk of your business losing out to competitors. Fifty-four percent of consumers have switched providers in the last year, according to a study by Accenture. The study also showed that 66 percent of consumers spend more on brands they are loyal to, with 12 percent endorsing them on social media. 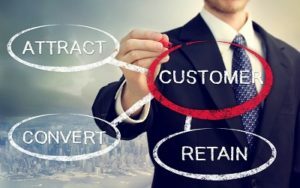 This highlights how important it is for your business to retain its customers — a study by Bain & Co shows that a 5 percent retention can result in a 25 percent to 95 percent increase in profits. You should retain your customers by building strong customer relationships and promoting a community of customers and audiences by offering value and building loyalty and trust. Businesses should seek to build loyal customers and retain them by offering value that will meet their needs to ensure they keep doing business with them. In addition, them with incentives such as coupons, discounts, offers, and special treatment will help retain them. Consumers are over 80 percent more likely to do business with companies that provide loyalty programs, and according to a Colloquy survey, 3.8 billion American consumers hold memberships in customer loyalty programs. In order to ensure that your customers continue to remain loyal, you should also work to earn their trust through thought leadership by building a positive customer community and creating engaging content with interesting conversations and top-quality information they will not get anywhere else. It should also be based on a relationship between you, the thought leader — or the thought leaders within your business — and your customers or audience, and should bring great value and positive experiences to your customers. When customers trust you and like (or even love) what you do and the messages you deliver, they are likely to keep using your products or services. 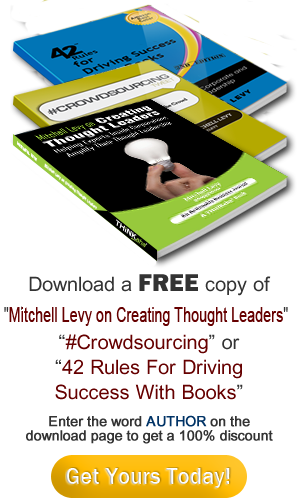 By being the thought leader of your industry, you can influence your customers’ decisions and purchasing behaviors, and they will feel proud to be part of the positive experiences and trends you are creating. Customers want their needs met. You should, therefore, create quality products and services to ensure your customers’ satisfaction. To confirm that they are retained, you should also build a community of loyal customers who trust you and your business as a thought leader that will continue to meet their needs and provide them with value.